In golf there are great golf courses and after the round there are great 19th holes. In the Chicago area there are now three great 19th holes, that aren’t even at a golf course. There are several great beverages that go well after golf, there are certain types of foods that go well alongside the beverage that wets your whistle. One of those types of food is barbecue, or BBQ. Well Chicago area golfers now have not 1, not 2, but 3 outstanding BBQ places to enjoy after golf. The Gog Blog took the time to attend the opening of the new Real Urban Barbecue, better known as the RUB in Oak Brook. RUB 3 is located on the NW corner of York Rd. and 22nd Street. Soon after the doors opened the customers came pouring in. In fact the first customer came out at 7:15 Am, he earned a gift certificate good every month for a year. RUB owner and founder Jeff Shapiro spent a year going around the country to many of top BBQ joints ,to learn the styles the sauces and what works when it comes to great BBQ. Shapiro’s time was well spent, since the customers started coming to the first location in Highland Park, they haven’t stopped. They followed Shapiro to Vernon Hills and RUB No.2, now Oak Brook is No.3. The real question that RUB admirers have, is where is the next RUB going. Well nothing is official, but Schaumburg appears to be on Shapiro’s radar. RUB No.1 is located in downtown Clinton Highland Park in Port Clinton Square, the number is (224)-770-4227 (4BBQ). RUB No.2 is in the Vernon Hills Town Center on Milwaukee Ave., (847)-613-1227. Now Oak Brook and the number is (630)-908-4380. So if you are golfing or even if you aren’t. Don’t be afraid to hit the RUB, it makes a great place to eat, or a great 19th hole if you’re playing golf at a course near one of the three RUB locations. If you need your next golf outing catered, don’t be afraid to contact the RUB. Pork sandwich, BBQ Chicken, BBQ Beef, the famed Burnt Ends, Brisket, Ribs and more. At least four different sauces everyday to try. Sweet, Spicy, Mustard Flavor, Texas, Carolina, they are all there. Check them out. Real Urban BBQ, a great 19th hole for any golfer. Check out the RUB. 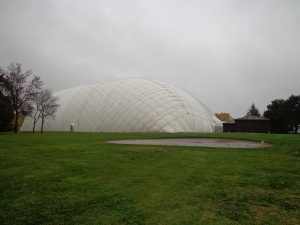 THE WHITE PINES GOLF DOME IN BENSENVILLE. The White Pines Golf Dome now under the operation of new owner Kempersports Management, will have an Open House this coming Saturday November 22nd, from 10 Am to 4 Pm. There will be a variety of contests and other events where golfers can win prizes. Come enjoy the day, meet the new management team and all the golf professionals at White Pines in Bensenville. For more information please visit online whitepinesgolfdome.com. Northbrook based Kempersports Management has announced the winners of the Inaugural KemperClub Championship. The event was hosted at the Bandon Dunes Golf Resort on October 20-22. The championship consisted of 40 2-person teams in a fourball format over three rounds. The champions were Glenn Day and Vince Brunssen with a combined score of 216 (2 over par). The same team won the Bandon Preserve Par-3 Shoot-Out. Golfers Brad Balbo and John Garigen won the Punchbowl putting contest, with a nine hole score of 20. For more information on KemperClub please visit kemperclub.com. 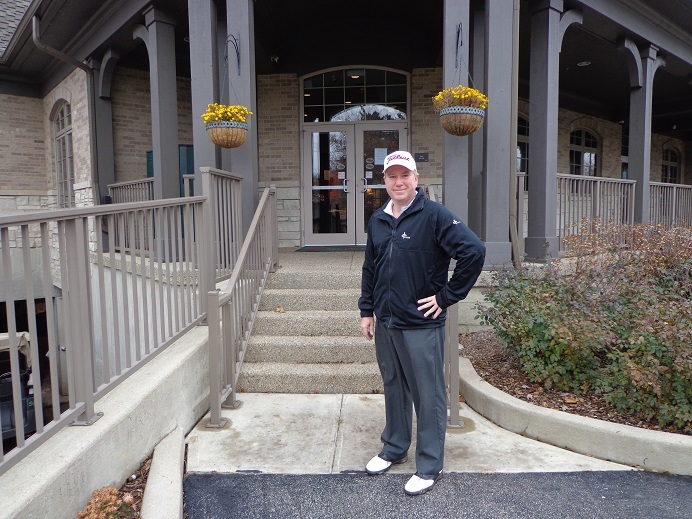 COG HILL has named David Impastato as the new Director of Golf. 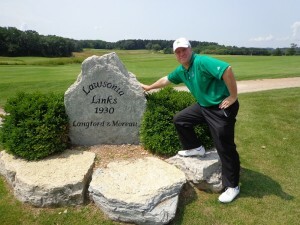 As Director of Golf Impastato will oversee the day-to-day operations of Course 2 and the highly acclaimed Dubsdread. He will also manage the award-winning practice facility, golf shop and staff at each facility. See coghillgolf.com. THE WESTERN GOLF ASSOCIATION (WGA) has announced that the Red Run Golf Club in Royal Oak Michigan will host the 2016 Western Junior Championship. The last time the championship was held in Michigan was in 2005 when Rickie Fowler won the title at the Blythefield Country Club in Belmont. Red Run hosted the 1958 Western Open won by Doug Sanders. Red Run has turned out 82 Evans scholars over the years, including six that are currently in school. All six attend Michigan State University. The course was designed in 1914 by Tom Bendelow and was redesigned by Willie Park Jr. 1916. Future site for the championship include Riverside Golf Club in 2015, Rich Harvest Farms in 2017, and Skokie Country Club in 2018. TANNA FARMS in Geneva is offering 2015 memberships at discounted rates through December 22nd. Visit tannafarms.com or call (630)-232-4300. CHAPEL HILL in McHenry is running saving on 2015 season passes. See Chapelhillgc.com or call (815)-344-1894. OAK GROVE in Harvard is running specials on 2015 memberships through November 30th. 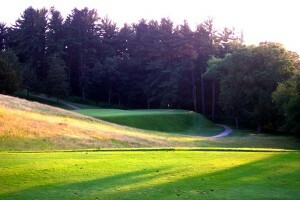 Visit oakgrovegolfcourse.com or call (815)-648-2550. THE WHISTLING STRAITS CLUBHOUSE KOHLER ARTWORK BY CASSY TULLY. Kohler has closed it’s golf courses for the season as of last weekend. But it’s not too late for a Kohler getaway. Special rates on Carriage House stays and more. How about a relaxing weekend in the American Club with time in the Spa. have you thought about a fall cabin getaway at Sandhill. Special events are on the calendar in Kohler all winter long. Call (888)-293-7337 and visit destinationkohler.com. THE CANTIGNY 5K run on November 1st raised $11,500 for the Midwest Shelter for Homeless Veterans in Wheaton. The 5K run has held since 2008 and has now raised almost $63,000 for the shelter. GOLF FITNESS WORKSHOPS are on their way. The workshops are conducted by Dr. Paul Callaway. The Tuesday workshops run from 7 Pm to 8:30 Pm. The first workshop will be held on November 25th, it’s called Pro Secrets for Maximum Power and Distance. December workshops will be held on December 9th and 23rd. Cost is $10, $15 for couples and free for junior golfers under 18 with parent. Fore more information call (630)-567-7572 or you can email Paul@CallawayGolfFitness.com. Trump Golf Links at Ferry Point in New York, designed by architects John Sanford and Jack Nicklaus, has won several awards for design excellence from the American Society of Golf Course Architects. The course was built on a landfill and overlooks the East River and has the famed Whitestone Bridge in the background of the 18th hole. The course will be open in 2015. Nicklaus Golf Design has won the Golf Digest Award for Best New Course in 2014 for it’s work at Potomac Shores. PGA National and The Bear Trap on the champions course have reopened from renovation as well. 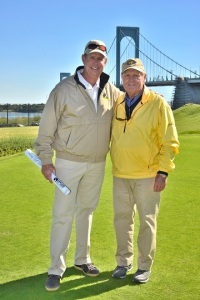 Visit Nicklaus.com for more information on Jack Nicklaus design projects and news on the Golden Bear himself. ILLINOIS AND NORTHWESTERN GOLF add top rated recruits to their men’s and women’s programs. Edoardo Lipparelli from Ronciglione Italy and Trevor Gold from Eureka Illinois, a four-time top finisher in the IHSA Class 1 Boys State Golf Championships. On the women’s side, Bing Singhsumalee from Waubonsie Valley in Naperville will attend Ilinois. IN EVANSTON new head coach David Inglis has added two recruits. Ryan Lumsden from London England, and Pete Griffith from Westlake Village California. Women’s coach Emily Fletcher has signed Stephanie Lau from Fullerton California, and Janet Mao from Johns Creek Georgia. Both are Top-100 junior players in the country. GIVE THE GIFT OF GOLF this Holiday Season. Three rounds of golf for $99 with cart at Orchard Valley in Aurora, call (630)-907-0500 to get your gift card today. LINKS & TEE’S THE GOLF DOME IS OPEN FOR THE WINTER GOLF SEASON THAT’S AHEAD. PURCHASE YOUR DISCOUNTED PASSES, INQUIRE AT THE COUNTER. OPEN HOUSE IS SATURDAY JAN. 31ST, 2015. VISIT LINKS & TEE’S ON LAKE STREET IN ADDISON. SEE ADDISONPARKS.ORG OR (630)-233-7275. BY: RORY SPEARS SR. 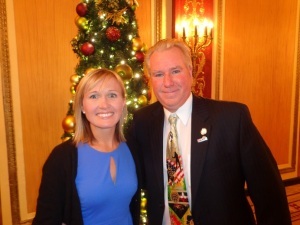 WRITER & ASSISTANT EDITOR, With Cassy Tully, Kohler area artist at the CDGA Centennial Celebration, at Palmer House Hilton in Chicago. 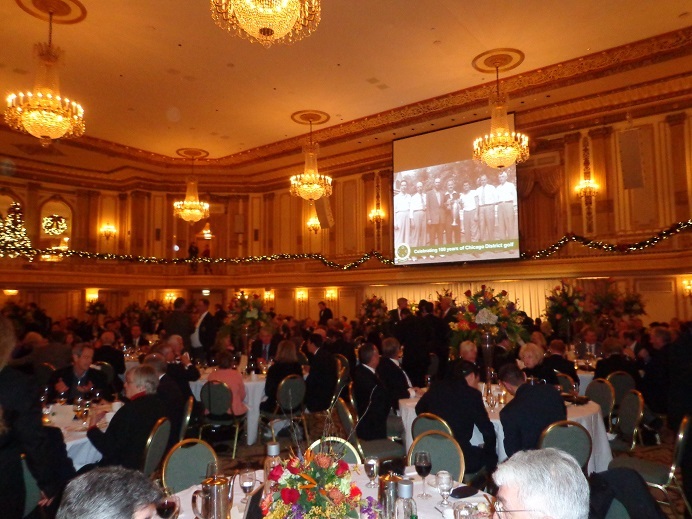 The Chicago District Golf Association (CDGA) held it’s Centennial dinner last Friday night, and I was glad to be a part of it. It was a special night for the CDGA and for many people in the golf industry. A tip of the cap or golf visor to the CDGA on pulling off such a great evening. The guest speakers who included USGA President Tom O’Toole, and USGA Executive Director Mike Davis helped make it a great evening. 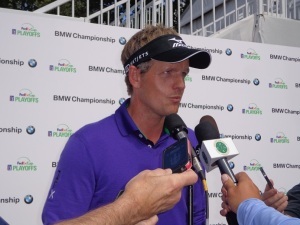 Both spoke about golf in Chicago and on a bigger scale. Dan Roan from WGN-TV Channel 9 was the Emcee of the evening’s program, that saw CDGA Executive Director Robert Markioni begin the night of testimonials. A special thanks from myself to the talented Kohler area (Plymouth WI.) artist Cassy Tully for joining me. Tully who created the 2012 U.S. Women’s Open at Blackwolf Run artwork, is adding to her collection of golf art work with the 2015 PGA Championship coming to Whistling Straits. The latest addition just in time for the holidays is her painting of the clubhouse at the Straits. More on that coming up this week. I’ll have more this week from the interviews with O’Toole and Davis who took a wide variety of questions from both myself and Big 3 partner Tim Cronin. The USGA is very excited about bringing the 2015 U.S. Amateur Championship to Olympia Fields this next August. By that time, USGA Championships will be on Fox Sports with Joe Buck and Greg Norman calling the action. No word yet if a Foxbot will be carrying a golf bag over it’s shoulder and doing it’s version of Grip it and Rip it. The other member of the Big 3 Len Ziehm has hit the road, and is advancing towards Florida and other southeastern states. Ziehm is scouting out travel destinations for you, whether it’s this winter, spring or even next summer. Visit Lenziehmongolf.com, the latest scouting report is on Hilton Head South Carolina, where Ziehm says there is plenty going on. I caught up with Dave Esler the architect on the Mt. Prospect Golf Course project at a board meeting in Mt. Prospect last week. The good news is that the course is “done”, but since the final holes were not seeded until early last week, they won’t grow in all too early next spring. Esler says the course will open when ready, and it won’t be ready in May. Mid to late June looks like the best time frame now, if this winter isn’t too bad. Maybe this bad November, means an early spring in 2015. Let’s keep our fingers crossed. THE WEATHER is supposed to be Mid-40’s by Sunday, maybe about the same next Monday. If you’re thinking about a Turkey week round next week, maybe it will happen. Cog Hill for one has a Black Friday outing the day after Thanksgiving. There will be an open house at the White Pines Golf Dome this coming Saturday from 10 AM to 4 PM, Kempersports management, the new owners invite you to come say hello. THE NEW LINE OF TITLEIST products I have reported on, are now available in your local pro shop. It’s not often that someone or something turns 100, these days most people don’t last 100 years. Many businesses that have been around close to 100 years, seem to be closing their doors. But that wasn’t the case on Friday night, as the golf community of Chicago was out in force for a special event. The Chicago District Golf Association (CDGA) had a great night, not only were the CDGA folks from over the years there in person, but golf in Chicago was there too. There was strong representation from the Illinois PGA, the Western Golf Association, the Illinois Junior Golf Association. Women’s golf, and organizations like Revelation Golf that help veterans rehabilitate through golf. KemperSports Management, Jemsek Golf, Rich Harvest Farms, Medinah Country Club, Olympia Fields Country Club all had good sizes groups. The cream of the crop of the Chicago golf media was even on hand as well. The night’s special guests and featured speakers came from the United States Golf Association. USGA President Tom O’Toole and USGA Executive Director Mike Davis were both on hand, showing how much this evening meant for the game the golf. 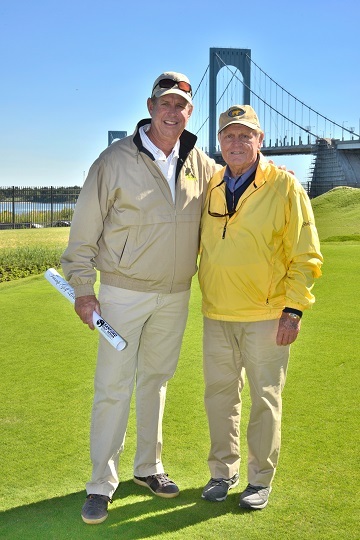 Both O’Toole and Davis spoke about the great relationship between the USGA and the CDGA. The main dinner at the Palmer House Hilton. if you went to the dinner not knowing a lot about the history of golf in Chicago, you should have learned a thing or two before you left. The dinner had several speakers and the MC was WGN-TV’s Dan Roan, who not only plays some good golf himself, but recorded a hole in one this year in Kohler on the 4th hole of the River Course. CDGA Executive Director Robert Markioni started off the post dinner speeches, he was the first of several. O’Toole and Davis wrapped it up, and then both came back up front for a Q & A with Roan and questions from the audience. Before the dinner started there was a cocktail hour, and O’Toole and Davis did a media session with CDGA TV, the CDGA Magazine, and with Golfers on Golf. Those interviews will be run on this site coming up this week. Prior to the dinner, CDGA Executive Director Robert Markioni spoke about the past and a little about what could be the future of golf in Chicago. Congratulations to the CDGA on a special evening, and it’s 100 years. BY: RORY SPEARS ASSISTANT EDITOR & LEAD WRITER. 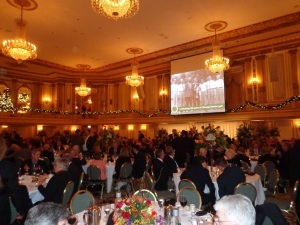 Tonight the Chicago District Golf Association (CDGA) celebrates 100 years. The centennial dinner tee’s off at the Palmer House. It will be a special night for golf. Joining everyone tonight are two special speakers from the United States Golf Association,both USGA President Tom O’Toole and USGA Executive Director Mike Davis. If you have not seen the issues of the CDGA Magazine this year, you should. There has been some great history of the organization, told through various stories. Chicago’s golf history tells some great tales, especially through the eyes of those who made it happen, or put it all together in the first place. With the USGA bringing the U.S. Amateur to Olympia Fields come next August, the presence of O’Toole and Davis at the dinner will be a great atmosphere to the evening. For more information on all that the CDGA does for golf, their championships, handicapping services and more. please visit the website at CDGA.org. A follow-up on the evening will be reported here on the Gog Blog. If you did not go out and hit it over the last day or two, odds are you have missed your chance to do so. Winter not fall temperatures are now in the air, and that has left area courses no choice but to close for the 2014 outdoor golf season. There might be some courses that are “still open” and courses that don’t close if you wish to play like course No.1 and course No.3 at Cog Hill. They stay open all year. The cold weather has come in a little earlier this year, which for those who wanted to play outside for the rest of the month is not a good thing. But if there is a silver lining to this, it might be next spring if golf season starts a little sooner than it did this year. If you are courses like Mt. Prospect and or the Glenview Park District golf course, you need a good spring so your opening from renovation is in late May or early June. Not in mid-July. In Mt. Prospect the park board meets tonight, and on the docket is an update on the golf course. The renovation work is now reportedly done, at least all of the holes are shaped even if they did not get much or any time for the grass seed to take shape. THE PAR 5, 18TH HOLE AT SHEPHERD’S CROOK GOLF CLUB, IN ZION. Monday was a great final day to play if you got out like I did. The Par 5, 18th hole at Shepherd’s Crook was my final hole for the season, I just wish that par putt had fell. There was three straight birdie putts on holes 13-14-15, all inside of 20 feet. None fell, two lip outs and one left in the jaws with my Titleist looking down in the hole. But it would not fall in, and my chances to break 80 for a final time this year went by the wayside. But it’s things like that, that leave one longing for next year’s season to start up. In the meantime there will have to be some dome visits, and time on the living room carpet, with the Perfect Putting Aid created by Blackberry Oaks professional Chad Johansen. If you didn’t play Monday when the temps reached into the low 60’s, there was yesterday. The low 50’s that the temperature was supposed to hit, ended up being more like the upper 40’s early in the morning. By noon time it was 42 degrees and headed downhill. But that didn’t stop the diehards from finishing that final 18 holes. Reports of groups at Buffalo Grove and on Arlington Lakes on the back nine about 3:30 in the afternoon, had golfers playing in the cold but determined to finish before the cold or sunset said “that’s enough” for this year. Have you had enough for this year. If not I’ll have some travel idea’s coming up here soon. Big 3 partner Len Ziehm has rolled into South Carolina after playing the latest Pete Dye creation in Virginia, see lenziehmongolf.com for details. Ziehm will have updated travel locations soon. Big 3 partner Tim Cronin and I will tag team USGA Executive Director Mike Davis and USGA President Tom O’Toole later this week, stay clicked in for those stories. Did you play enough golf in 2014, if not why. Did you take that golf trip to a great destination course or two. If you didn’t hit your goals, take a trip before the holidays. If that isn’t in the cards, then it’s time to sit down and figure out what the plan is for next year. It’s not too early. My plan starts with checking out a new driver, and planning some golf around the PGA show come January of 2015 in Orlando. In the meantime, it was nice to play almost 70 rounds this year, spread out over 12 states. Here’s hoping that 2015 is even better. In the meantime, I’m looking forward to seeing you in the domes. White Pines, MCQ’s, Buffalo Grove and Links & Tee’s in Addison. Many golfers enjoy the fall golf season, up north in these parts. It’s not too hot to play, it’s not as crowded to play. The colors change and the courses and trees really bring some nice views to the course. For the golfers who enjoy fall, September, October and early November. Well your time appears to be running out. In fact today or early tomorrow appears to be the end of the season. By tomorrow night the temps are going down low, and courses will be closing. More on that tomorrow. Unless there is a lucky weather pattern next week, you better go play today or tomorrow. I’m headed out the door in a few minutes myself for last round of 18, maybe there is still a birdie or two in the bag. WHITE DEER RUN today…9-1PM 18 holes and a cart $39. See Whitedeergolf.com or call (847)-680-6100, pro shop sale has started. SPORTSMANS IN NORTHBROOK, closing tomorrow. (847)-291-2351. Sportsman’s is part of the Twin Orchard CC in Long Grove merchandise sale this Thursday 10-8 and Friday 8 Am to 4 Pm. Ravisloe in Homewood, closing tomorrow. TANNA FARMS GENEVA..deals to finish the year. (630)-232-4300. FOXFORD HILLS IN CARY, the plan is to close on November 30th. Who knows if they will make it that far. Specials today. Call (847)-639-0400. COG HILL..Thanksgiving Day dinner from 11 Am to 3 PM, watch the Bears (lose) while you eat. Nov. 28 Black Friday Open, Course No.2. the Holiday Open House at the 2-4 building 10 Am-4 Pm. December 7th the Frosty 3-club open. Eskimo Open Jan. 4th. See Coghillgolf.com or call (866)-COG-HILL ext 301. SETTLERS HILL IN BATAVIA…now selling 2015 memberships. (630)-232-1636. Better deals if bought by December 22nd. THE 2015 PALMER CUP will tee off at Rich Harvest Farms Wednesday June 10th with practice rounds and run through Sunday June 14th. Information at Palmercup.org. or visit richharvestfarms.com. The new Titleist 915 drivers will be available in golf shops worldwide starting on November 14th. The 915 D2 and the 915 D3 will benefit golfers of all swing speeds and deliver maximum distance will maintaining a high HOI for a wider range of forgiveness. A new patented Active Recoil Channel technology, will produce lower spin, and higher speed for more distance-with giving up any forgiveness that golfers today require. WHAT IS Active Recoil Channel. It’s a long, wide deep sole channel that actively flexes at impact and recoils to launch the ball off the clubface with higher speed and lower spin. Radial Speed Face, a high speed forged face insert with a radially thinner perimeter in the heel and toe, which works with the Active Recoil Channel to increase ball speed on off-center hits. The precise high-MOI design with a low and deep center of gravity location that delivers stability and forgiveness by preserving off-center speed for more distance, more often. The new technologies, that are combined with the fitting precision of Titleists industry-leading SureFit Tour hosel and tour-validated looks, sound and feel, make for the most complete, consistent driver performance in the game. Stone adds this, regarding the Active Recoil Channel. The prototype came off the drawing board at Titleist about 4 years ago, but the company took the time to get it right, as they took driver advancement into a new area. The 915 D2 driver is a 460cc full-pear shaped head designed for maximum forgiveness and a slight draw bias. The 915 D3 features a 440cc pear shape that is forgiving and workable, and offers 250rpm less spin than the 915 D2 to produce a peak trajectory. Both models launch similar to their previous generation Titleist 913 models. 18 Titleist staff players put the new drivers into play immediately when they became available in June to PGA Tour players. The number was up to 24 by the time the PGA Championship tee’d off at Valhalla in August. The face view of the Titleist 915 D2. The lofts available for the new drivers are 7.5, 8.5, 9.5, 10. 5 and 12 degrees for the 915 D2. For the 915 D3 lofts are 7.5, 8.5, 9.5. and 10.5. The 7.5 lofts are available for right handed golfers only. Some of the new drivers in play for PGA Tour Titleist staff players are, Adam Scott 915 D3 10.5, Zach Johnson 915 D2 8.5, Jimmy Walker 915 D2 9.5, Bill Haas 915 D2 8.5 and Graham Delaet 915 D3 7.5. PGA Tour player Geoff Ogilvy put a new 915 D2 in play right from the start. Ogilvy put his shaft from his 913 driver into his new 915 and after two shots he was sold. A couple weeks laters he earned his first PGA Tour win in 4 years. The shaft choices includes options from Aldila and the Mitsubishi Diamana line. The MAP is listed at $449 and the MSRP is $499. TITLEIST has brought the same new technologies to their line of Fairway Woods and Hybrids. The new fairway woods are the 915F and the 915Fd. For hybrids it’s the 915H and the 915Hd. Titleist 915F and Titleist 915H. These clubs became available to the PGA Tour Players, at the World Golf Championships at Firestone. Where Titleist players like Jordan Spieth added both a fairway wood and a hybrid. Steve Stricker added the the 915h 18 degree. Since then the numbers of players using these clubs are rising per week, not only on the PGA Tour but other professional tours around the world. Both the fairway woods and the hybrids are available on November 14th, the same as the 915 drivers. There is a full list of different lofts that can be ordered for both clubs. Prices for the 915F and 915 Fd are MAP $279. For the 915H or 915Hd are MAp $249, or $269 MSRP. For information on Titleist products please visit titleist.com. The follow the links to the clubs you wish to learn more about. What is the No.1 gift in golf as you approach the holiday season. Well here’s a hint, it comes from the people who make the No.1 ball in golf. That’s right the folks at Titleist. So with the holiday season quickly approaching, why not give the gift of golf for the the end of 2014 or the 2015 golf season ahead. From now until the end of the year, December 31st, personalization charges will be waived on all custom orders of ProV1 and ProV1x golf balls, as well as Titleist NXT Tour S, Velocity and DT Solo models. Why not add a personal touch for the holiday season. At no additional charge. Personalization includes up to three lines of block text (17 characters per line) imprinted on each golf ball in black, blue, green, red or pink ink. You can have names, nicknames, initials, and special messages, how about your social media username, and hashtags like #TeamTitleist. Do you need special numbers on the ball, like a 00 or a 11 to 99. Your favaroite lucky number, birthday, or jersey number of your favorite player. The minimum order is one dozen. Orders placed by December 10th for single digits or by December 3rd for double digit numbers will arrive before Christmas. Your order can be placed at any Titleist golf shop, to find the nearest one, please visit www.titleist.com/find-a-golf-shop. Start your holiday shopping by sending the gift of golf, your foursome, your fellow members, your clients and family members will be glad you did. Stay clicked in for our upcoming feature on the new Titleist 915 Drivers and Fairway Woods, to be available very soon. VOTING DAY IS HERE and you should get out and vote, regardless of what party you support. It’s your right and you should take advantage of it. If you don’t, then don’t complain about what your government does or doesn’t do. Here in Illinois there is plenty to vote for or against. Some of the things on the ballot I’m told by local golf course owners, could hurt the golf industry. It seems like everyone agrees the state’s minimum wage needs go up, but a quick bump to $10.10 an hour is something that could hurt golf courses. I have written already about the lack of major tournaments getting held in Illinois, some say the business climate of Illinois is a turnoff to people like the USGA, PGA of America and the PGA Tour. It’s also keeping our purses lower for our state-run section events, as sponsors just don’t have that extra money to boost up purses. Hopefully when the smoke and dust of todays settles, Illinois is in a position to start being more attractive to the golf industry, and to those in this state who want more discretionary income to spend on golf or other things. I’m headed off to vote, you should too. I’m voting for more good golf weather as well, I’m hoping we can play into December before Mother Nature directs into the golf domes for about 4+ months. THE FINAL DAYS OF 2014-LAWSONIA GOLF IN GREEN LAKE WISCONSIN. See Lawsoniagolf.com. 36 holes of golf, Stay & Plays, the new Langford Pub and more. I was surprised to learn upon my return from the out east, Long Island golf trip that my partner here at Golfers on Golf Mike Munro, had sold off his White Pines Golf Dome to Kempersports Management in Northbrook. 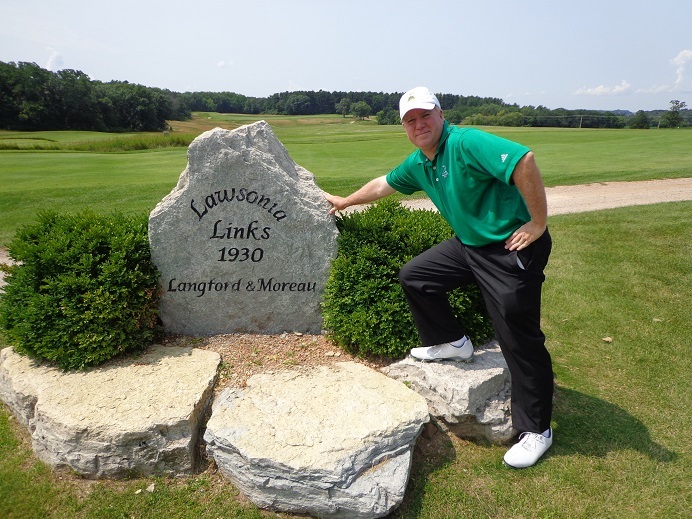 The sale through Chris Charnas at the Evanston based Links Capital Advisors, an industry leader in the buying or selling of golf properties. As Munro told me over the weekend, the whole idea started when he read this website and learned about Charnas. Munro felt Charnas was a good place to start in terms of having someone in place when he was ready to sell. That time was sooner than he expected. If there was ever anyone who made Chicago a year round destination it was Munro. Go back 25 years and everyone put the clubs away in early November, then waited until early April to start up again. Once the White Pines Golf Dome went up, it all changed. It didn’t take long until other golf domes went up, as some golf properties learned they could use their facilities all year round. If you do it right, golf domes can be big business. As Munro changed the WPGD other changed too. Munro added a putting green, others did too. Munro brought in free coffee and food, others soon followed. Add some TV’s so golfers could see the big game, or golf from warm weather locations in January and February and others followed. Bring in a simulator or two, yep others followed. Now under the management of Kempersports, I’m not sure yet what all will change at the dome. Hopefully whatever does change, will be for the better. As for Munro, he is not sure what his next drive will be, but plans to stay in the golf industry around town. That’s a good thing for all of us golfers. I for one, is looking forward to seeing him in the studio more often on Sunday mornings for Golfers on Golf Radio. The Ziehm Machine is on the move. 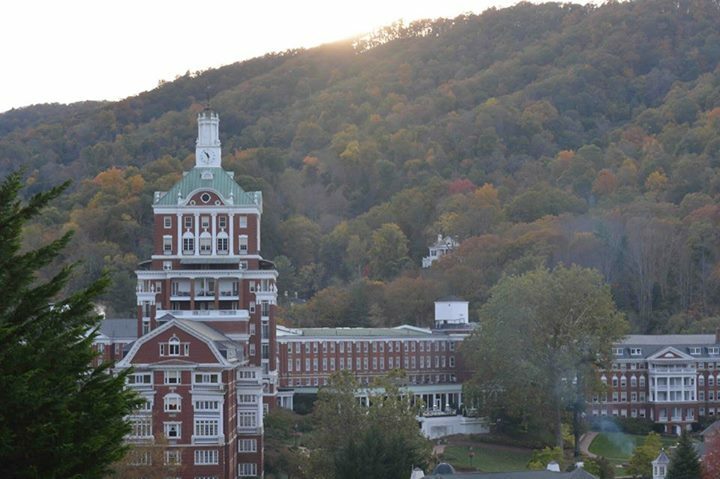 BIG 3 Partner Len Ziehm spends the week traveling between two of the great golf resorts in America, The French Lick Resort in Southern Indiana, and the pride of Virginia, The Historic Homestead Resort in Hot Springs home of the highly rated Cascades Course. See Ziehmongolf.com for more details as he paves the way for all of you golfers headed towards Florida for the winter months ahead. Luke Donald has decided to return to former swing guru Northwestern Coach Pat Goss, and part ways with Chuck Cook. The former NU start and former No.1 player in the world did not have his best season in 2013. Donald never parted ways with short game and or putting, but was using Cook to make his long game a better one. Now Donald will have goss over-seeing the entire game once again. While working with Goss in the past, Donald became the No.1 player in the world. Let’s hope he makes it back to the top. There aren’t many great golf days left, so go vote and go play. RS.